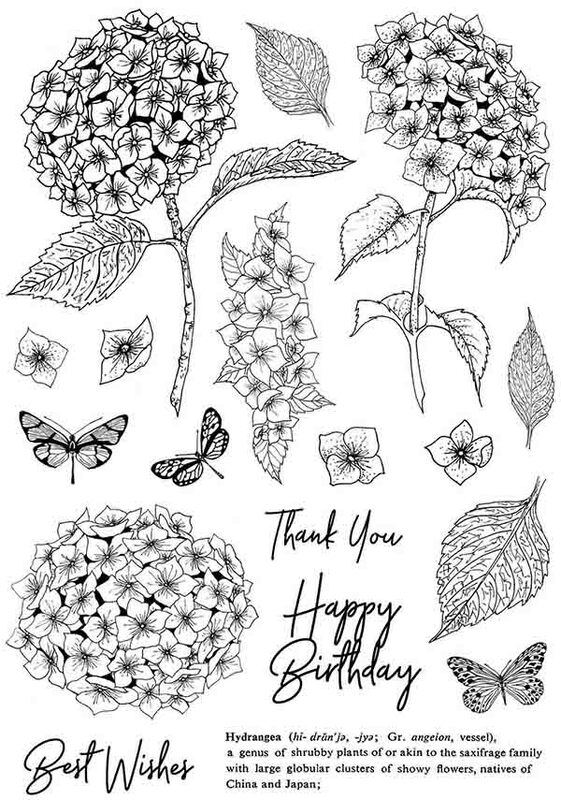 CS199D Hydrangea Hobby Art Stamps - Stampers Grove is a webshop and mobile craft shop. CS199D Janie’s Collection - Hydrangea A5 stamp set. This Gorgeous clear set contains 18 designs. Build up beautiful botanical scenes using this latest release from Hobby Art Stamps. Includes 3 Greetings for a variety of occasions.